NEW YORK, June 1, 2015 -- Following IAmElemental's blockbuster first year, the toy company that pioneered strong, healthy female action figures is now offering new ways for kids to develop their character by playing with "Elements of Power." View the complete line at http://shop.iamelemental.com/. IAmElemental, which was launched to worldwide acclaim via Kickstarter, envisions kids as the creators of a play experience in which they are the active agents in a story of their own design. 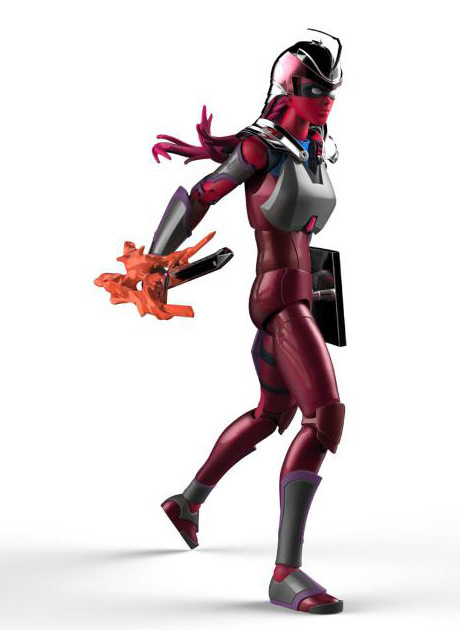 The company's female action figures boast a forward-thinking design and engineering unique among products designed for girls; they are "fierce, strong females worthy of an active, save-the-world storyline that fosters creativity in kids," according to Julie Kerwin, Chief Elemental Officer. NEW YORK, Feb. 13, 2015 -- IAmElemental (http://www.IAmElemental.com), the toy market's sole producer of collectible action figures designed specifically for girls, today announced the company's newest figure. To view "Courage," the Series 1 Core Power figure, visit http://www.iamelemental.com/courage-core-power/. IAmElemental envisions girls as the creators of a play experience in which they are the active agents in a story of their own design, inviting them to develop their character by playing with "Elements of Power." Each series of seven 4" articulated figures, based on the Elements of Power, culminates in the release of a 6" Core Power figure which is a fusion of all Elements in the series.